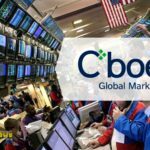 On January 30, the Chicago Options Exchange CBOE re-submitted the Bitcoin ETF application to the US Securities and Exchange Commission (SEC). The company has withdrawn the application due to the suspension of the US government. Now the situation in the country has normalized, so the CBOE re-submitted the application. However, the period for reviewing the document has been increased. The SEC will have 240 days to make a verdict on the application. This period accounts the date of the document publication in the Federal Register. However, the decision Bitcoin ETF will make only by the end of 2019. The positive commission 's decision of the CBOE application is a big question. The SEC Chairman, Jay Clayton, said he will not give a green light to the Bitcoin ETF if the cryptocurrency exchanges don't solve the market manipulations problem. 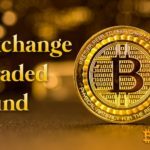 Blockchain Capital, a partner in the cryptocurrency investment company Spencer Bogart, believes that the agency is in no hurry to allow Bitcoin ETF because of investment risks. Kobre & Kim's lawyer Jake Chervinsky believes that the Bitcoin ETF approval in the first half of 2019 is unlikely. In his opinion, the CBOE took the application not because of the suspension of the government’s work, but because of company refused concerns. Despite officials' skepticism about the Bitcoin ETF, many financial institutions plan to start trading cryptocurrency investment funds. 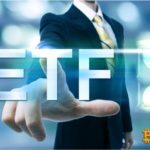 NYSE Arca recently completed the preparation of documents to apply for the opening of Bitcoin ETF. Representatives of the company said that they were able to develop measures to counter market manipulation and fraud. However, the effectiveness of their funds is hard to believe because no one has the opportunity to interfere with the dump and pump schemes using by people who control over 50% of the total BTC coins. © 2018 bit.news | queries 224, for 0.434 sec.